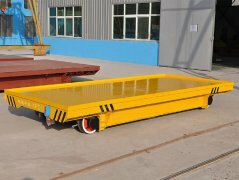 Electric transfer cart has no limit of running interval can meet the need of turning running way long intervals in transport li nks. 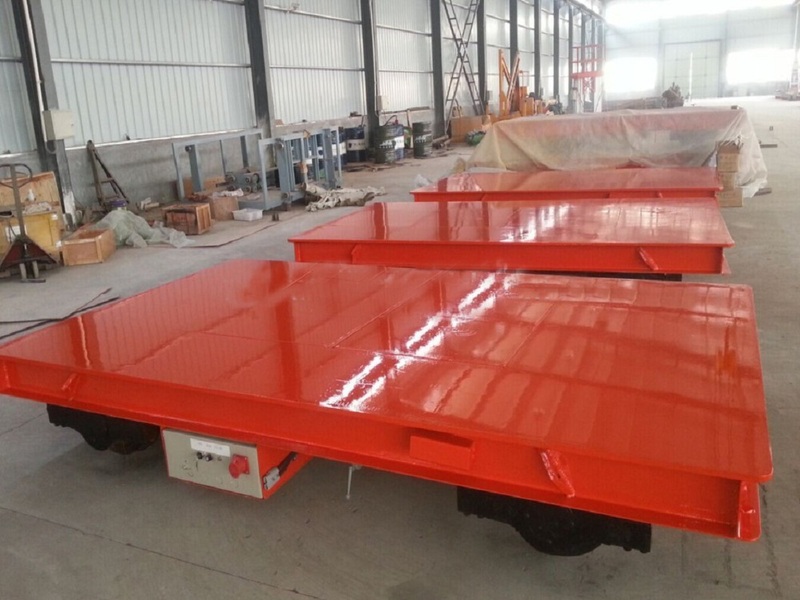 Compare with coil cable and rail-powered electric transfer cart, the battery-powered cart has less requirement of track laying, common rail laying will make the normal operation of electric cart, also can be applied again to old track (or tracks without alteration). 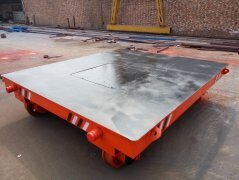 Electric transfer cart has no limit of running interval, can meet the need of turning, running way long intervals in transport links. 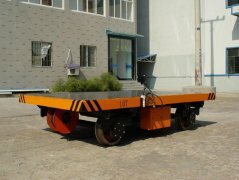 Electric transfer cart may also be equipped with wireless remote control, remote control space will be up to 150 meters. 1. Electric cart motor controls: use high frequency speed-adjustable control system, can greatly extend the power supply time and battery service life. 2. Electric cart motor: high-load DC motor, using direct transverse rear axle drive, ensure the cart has good overload resistibility and constant speed and performance. 3. Electric cart power: use strength lead-acid batteries, long service life. For horizontal load transfers of a wide range of material, hycrane has the heavy duty, high quality Transfer Cart solution you need. 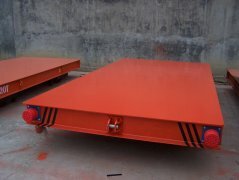 It's necessary equipment for lifting goods,raising labor efficiency,improving working conditions.